BDBE exists to 'Serve Christ, Share the Gospel, Support, Equip and Educate'. 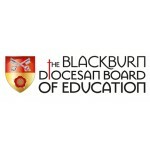 BDBE actively seeks to support ten Church of England secondary schools and academies and 180 primary schools and academies through their experienced team of advisers and associate advisers. A vital and important aspect of the vast portfolio of work the BDBE offers is in networking and support opportunities for a number of roles in schools including Worship Co-ordinators and Chaplains. The other key area of work BDBE engages in is the resourcing, equipping and advising of local churches to help with their provision for children and young people. They serve churches across Lancashire by hosting events, providing training and networking opportunities, creating innovative and easy to use resources, as well as help churches to find the best way of connecting with, nurture faith in, and equipping their children and young people to share their faith with others. The Director of Education would be the post-holder's line manager, while the Youth Adviser and Adviser to High Schools and Academies would be a source of support both professionally and pastorally. St George's is a Church of England Academy in the coastal town of Blackpool. The academy recently received the positive report following their Ofsted inspection that they are a Good school. The Good grading is testament to the hard work and dedication of the staff team led by head teacher, Graham Warnock who states that the vision for St George's is to provide academic excellence within a caring, Christian community. The academy's faith foundation and culture nurtures a deep commitment to our town and its young people and the desire to see both succeed and flourish. They have a proven track record and strong relationships with their stakeholders encourages tremendous support and participation, especially from parents. Summed up as in their motto of “Believe, Achieve, Care” the Spiritual, moral, cultural and social development of young people at St George's is central to the academy's vision and underpins the academic development of their pupils. Established in November 2013 as part of the Diocese of Blackburn, Cidari Multi Academy Trust works with eleven schools, including St George's, across Lancashire. The Trust aims "To provide high quality education for all children based on clearly established Christian values and principles." In order to bring this to fruition they work closely and collaboratively with their schools and other partners to ensure that they offer a strong caring ethos and a clear moral purpose. They encourage all their schools to see themselves as part of a family with a shared vision, identity and purpose whilst maintaining their individuality.